Each new month brings new trends and food fads. Start March on the right foot with a Game of Thrones-themed dinner party, updates on Singapore’s latest food crazes, and lots of pork belly! Stay on top of local food trends and be the coolest kid in the kitchen with these predictions for this year’s food crazes. Pork belly: so good but so unhealthy. Hold up, it’s actually one of the top 10 healthiest foods in the world! Look out, Game of Thrones fans – winter is coming. 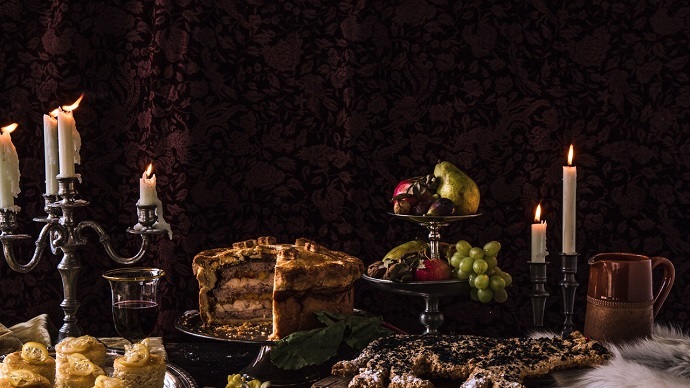 Have a feast fit for a dragon at the GoT-themed dinner party happening this weekend. Oreos are a universally loved treat, but how much do you really know about them? Here are 5 fun facts about your favourite snack. Prison food is disgusting… right? Not always. Find out how inmates in the UK are getting amazing meals in their cells. Matt Abergel from Yardbird lets us in on the top 11 restaurants to visit when you’re in Hong Kong. We’ve tried nasi lemaks from $2.50 to $30, but the next one on our list is this tempura version of a local classic. What better way to document your big night out than with a photo of your beautiful cocktail? Learn how to take picture-perfect cocktail shots (pun intended) with master mixologist Colleen Hughes. This Instagram account creates the cutest pictures using food and other unexpected things. Feeding the Oscar’s is worth 6 figures. You read that right. Check out this flower-shaped marshmallow that actually blooms. Scout out the best budget eats in town with this guide to Singapore’s yummiest hawker foods.